Once your design phases are complete, you then need to fully implement your system – to panel-build, to construct your mechanical frames and structures. You will also need to test the constructed elements so as to minimise project risk before actual installation. We provide our customers with turnkey automation projects. You tell us your requirements…we design, build, test and deliver to site ready for installation. 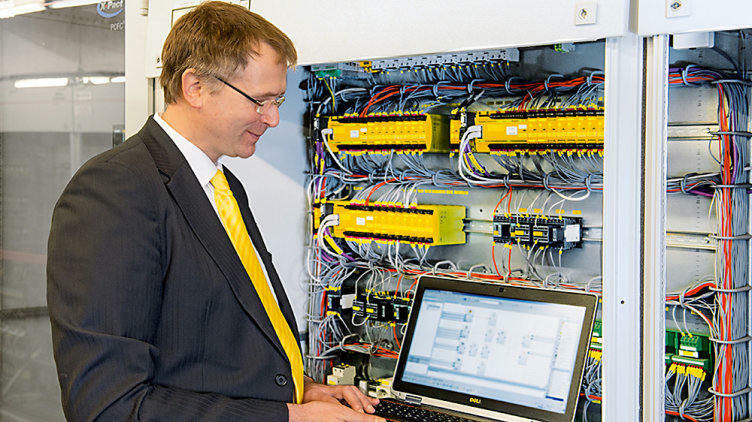 To enable Pilz to provide this seamless turnkey solution, we construct all of our own electrical and control panels in-house to the customer’s specification. This includes mechanical structures, mountings, frames and guards – all constructed at our own purpose built workshop. To support our team on bespoke or one-off components, we work with a small number of carefully selected fabrication partners to ensure you get the highest quality service. From design to build and testing you have a single source supplier providing you with a comprehensive engineering solution for your project.